Iran's first new Airbus to land in Tehran tomorrow - IRAN This Way: Become familiar with Iranian lifestyle! Iran Air spokesman had announced that the first Airbus A321 aircraft will arrive at Mehrabad International Airport on Thursday January 12 at 14:30 local time. Shahrokh Nushabadi made the announcement adding that the airplane had been scheduled to leave Hamburg Airport of Germany for France’s Toulouse Blagnac Airport on Tuesday after going through technical tests. “According to the timetable, the Airbus A321 aircraft will be guided by Iranian pilots from Toulouse to Tehran on Thursday before landing in Mehrabad International Airport at 14:30,” he continued. Spokesperson of Iran Air, the Iranian national flag carrier, recalled that a receiving ceremony will be held in Tehran with a number of military and government officials at attendance. 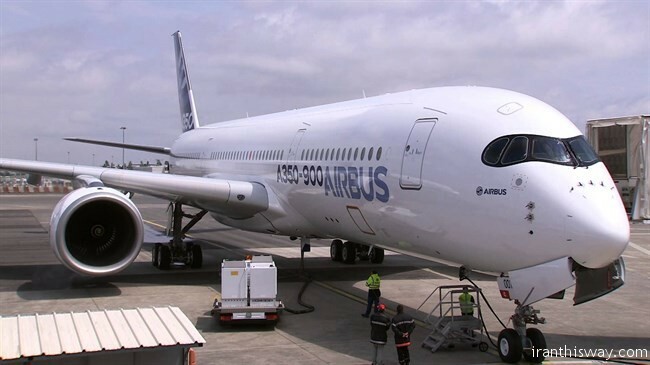 Following implementation of the Joint Comprehensive Plan of Action (JCPOA) and removal of cruel sanctions, Airline of the Islamic Republic of Iran managed to sign a contract for purchasing 180 aircraft from Airbus and Boeing and the French company will deliver three aircraft by the end of the current Iranian calendar year (to end March 21). The Airbus A321 is a member of the Airbus A320 family of short- to medium-range, narrow-body, commercial passenger twin-engine jet airliners manufactured by Airbus. Iran Air has announced that the 190-seat Airbus will be exploited in domestic flight routes after delivery.